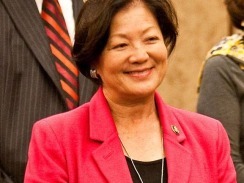 It's a good weekend for people who want the Democratic Party to oppose tax cuts for the rich and foolish wars, as Mazie Hirono has defeated Ed Case in the primary for the Democratic nomination in Hawaii 58-41. That's at the high end of expectations -- the polling weirdly alternated between statistical ties and polls showing Mazie with a lead close to this outcome. Hirono seems to have a good lead against ex-Governor and Republican nominee Linda Lingle in the general election. I'm happy to have helped make this a big win, with a $1000 contribution to Hirono and some minor internet volunteer work. When he was in Congress, Ed Case supported the Iraq War all the way through 2006, voted to cut taxes on inheritances and investment income, and was the only Democrat to vote for Jeb Hensarling's amendment eliminating funding for PBS, NPR, and Title IX family planning in 2005. I hope the large margin will make clear that people with that kind of record don't get to be Democratic nominees for Senate seats. The first person who needs to hear that message is Ed Case himself, who ought to give up hopes of a political career with this third consecutive Democratic primary defeat. I'd also like Democrats far and wide who might have a Senate primary in their futures to keep this result in mind. The way that conservative Republicans, who today call themselves the Tea Party, took control of their party was by winning elections like this. Not only did they keep some moderates out of office, but they scared others into voting like conservatives. The left wing of the Democratic Party hasn't accumulated that awesome a record of victory -- if they did, it'd have a similar effect on moderate Democratic officeholders. One can hope that this is the beginning of similarly awesome things. 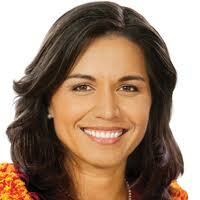 In other good Hawaii news, Tulsi Gabbard defeated Mufi Hanneman 55-34 for the Democratic nomination to the open Congressional seat left by Hirono. (It's Hawaii; people have unusual first names.) There was some concern that Hanneman might be the most conservative Congresscritter in a solidly Democratic seat. Tulsi's views on a lot of issues are unclear, but she took stronger positions in favor of gay marriage and abortion rights this election than Hanneman did. An interesting result of this weekend's primary is that it gives everyone in Hawaii's 2nd district a chance to vote for a Buddhist for the Senate and a Hindu for the House. This is the seat to which Patsy Mink was re-elected in November 2002 after having died that September. I imagine that voters in the district will have no problem with putting believers in reincarnation in both federal legislative seats.